An unforgettable show of Boney M feat Liz Mitchell creates an amazing memory for anyone who has an opportunity to meet the talented singer. Liz Mitchell’s incredible voice is a true godsend. It seems like time has nothing over the soloist of Boney M, she remains fabulous for all her fans. If you put all the glorious Boney M moments together as pieces of a puzzle, you will create an era. An era of disco. Do not miss your chance to meet the legend herself and the incredible Boney M live. Every artist loves to meet their audience, Liz Mitchell is not exception. The show organisers get a unique chance to make this happen, by simply contacting the official agent of Boney M feat Liz Mitchell. Ensure you are getting the best offer by avoiding any third parties and contacting the booking agent directly. 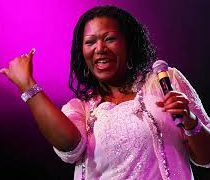 Book Liz Mitchell with the legendary songs of Boney M on our official website and be part of an unforgettable event, where you will have a chance to get a little bit closer to the legend. Saving money on booking through the official website is real.